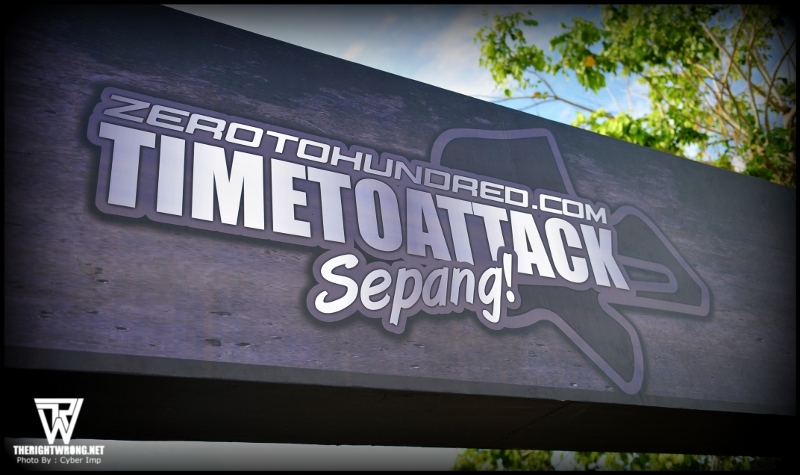 The ZeroToHundred TIMETOATTACK 2012 Sepang Finale was held on 16th December with various time attack groups for different groups of cars –Turbo, NA FF/FR, GTRs, GT, Euros and a popular hybrid sports car, the Honda CRZ. 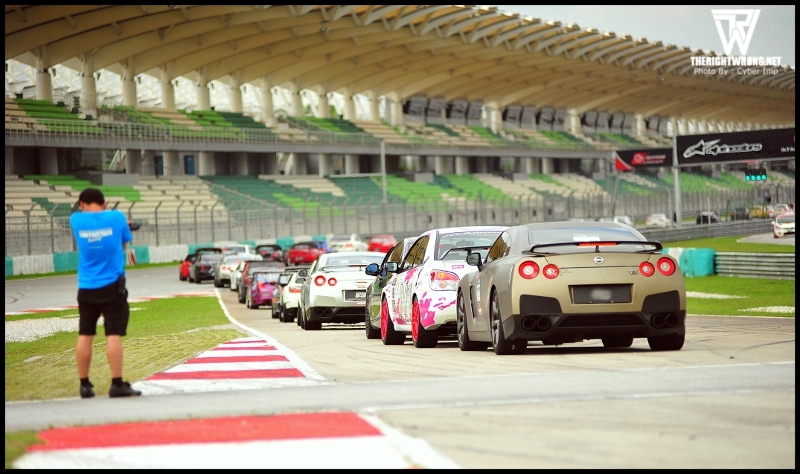 Setting off from Singapore at 6.30am, I managed to see a few of the contestents making their way up to the Sepang International Circuit. 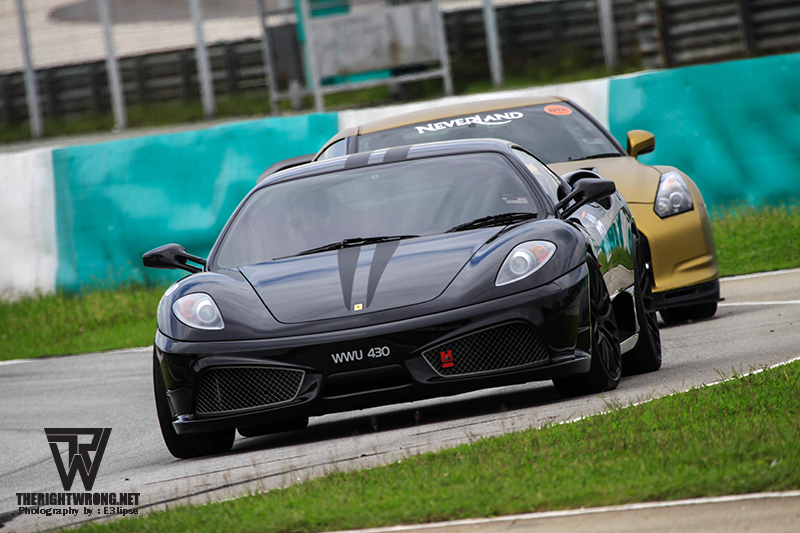 The car that left the most memorable impression was a C63 AMG that whizzed by me like I was stationary on the North South Highway. 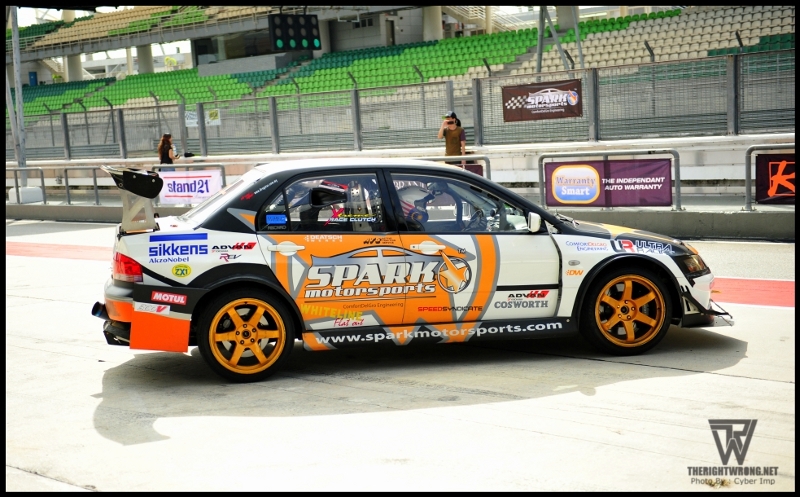 Reaching on schedule, we entered the car park and after making a mandatory walk around the car park for the awesome rides of spectators, we made our way up into the pit area only to be deafened by the roaring of the cars on practice. 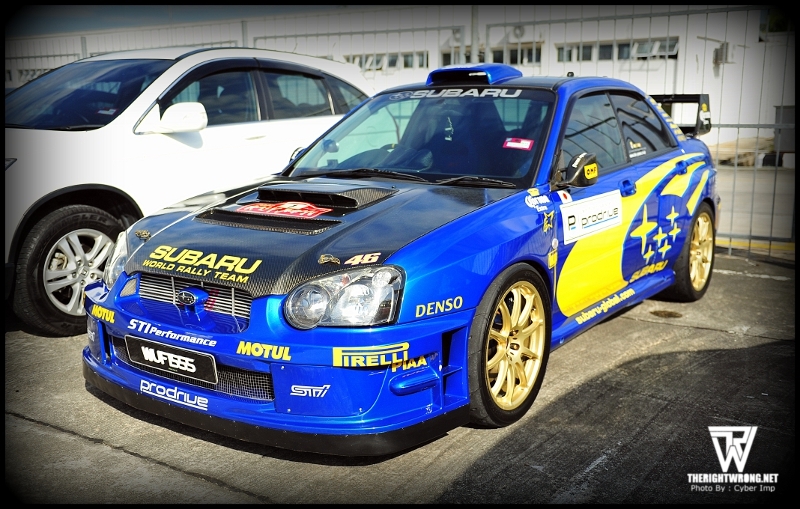 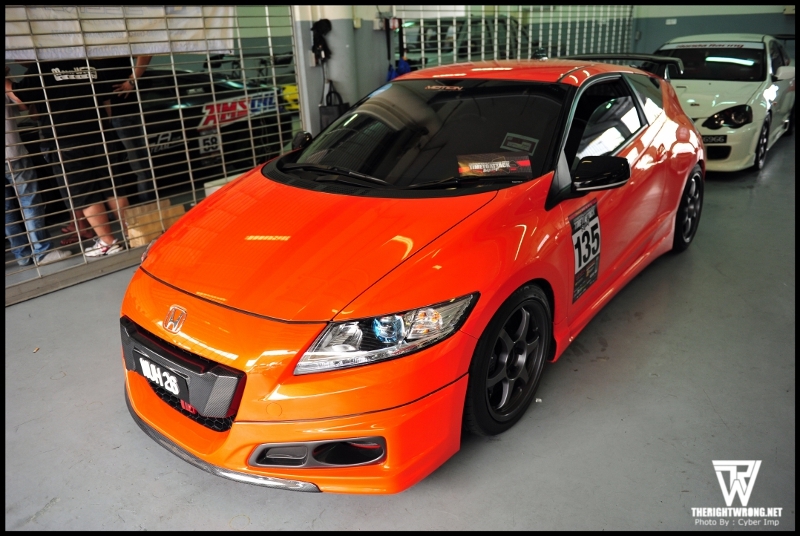 The first thing that I noticed was that the circuit was swamped with Honda Civic Type Rs, the FD2R in particular is one of the most popular local tuner cars. 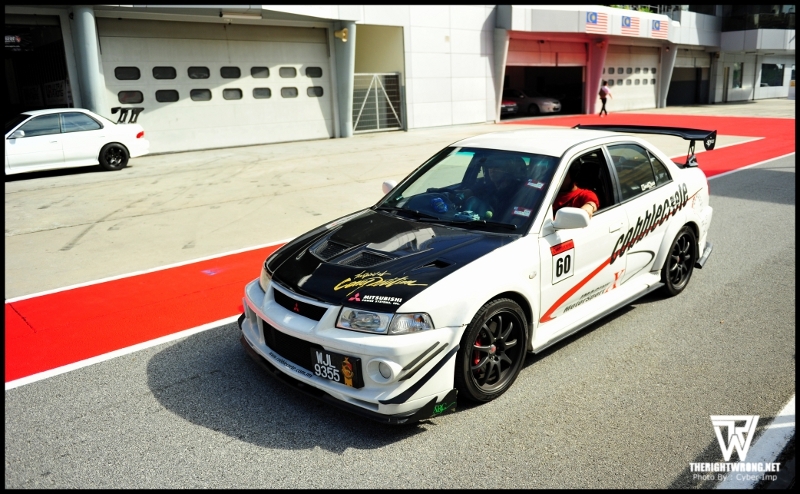 Although the Type R is quite a well balanced track machine straight from the factory, not a single stock one was in sight. 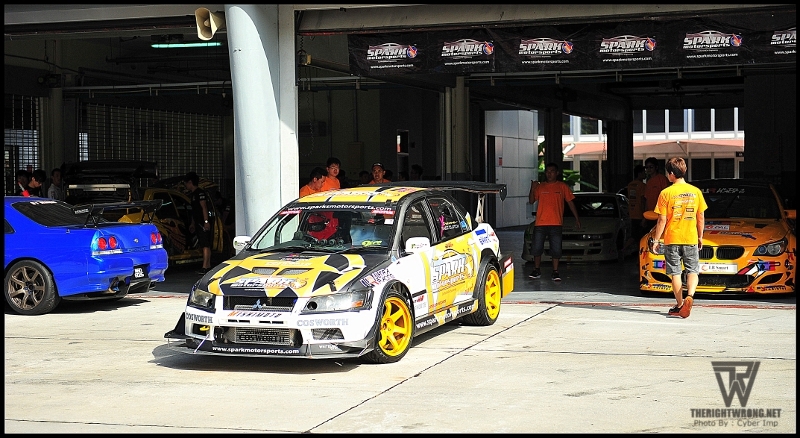 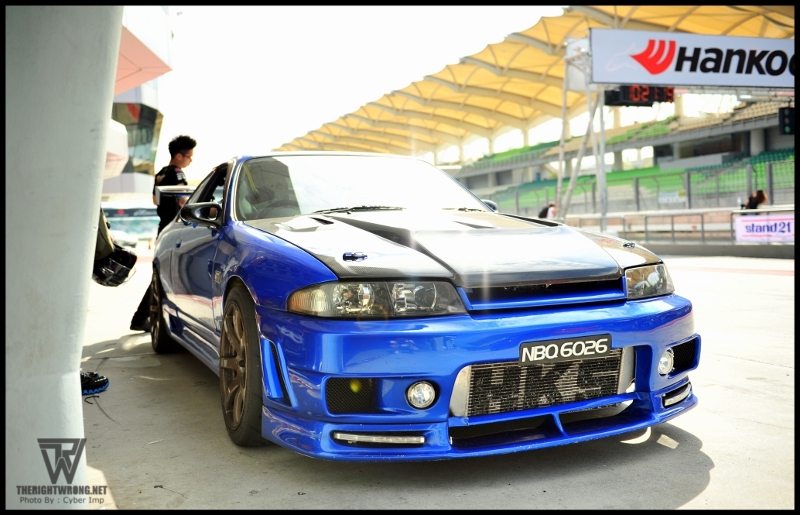 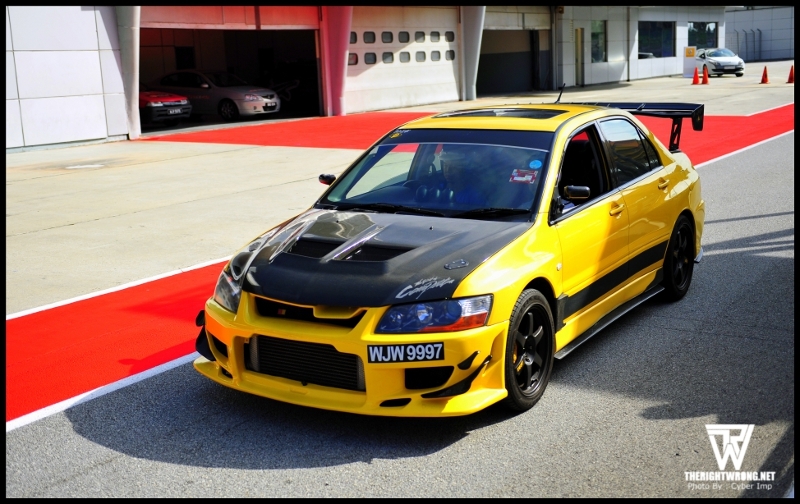 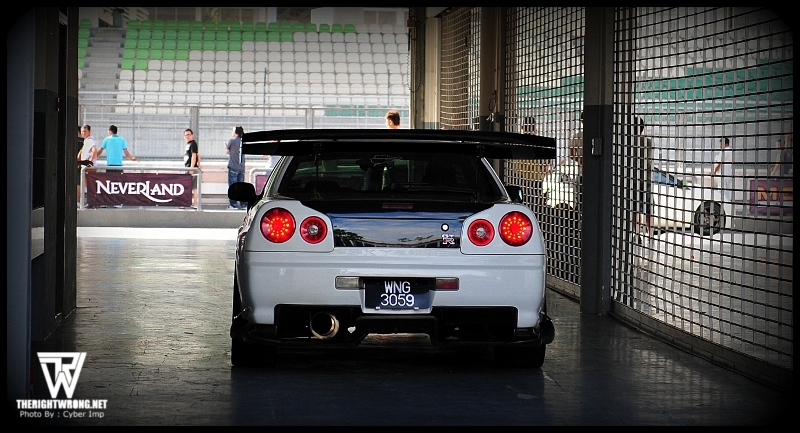 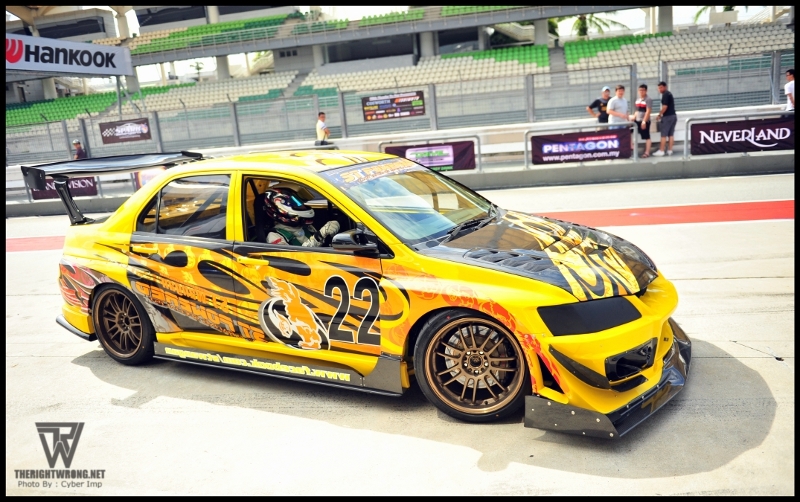 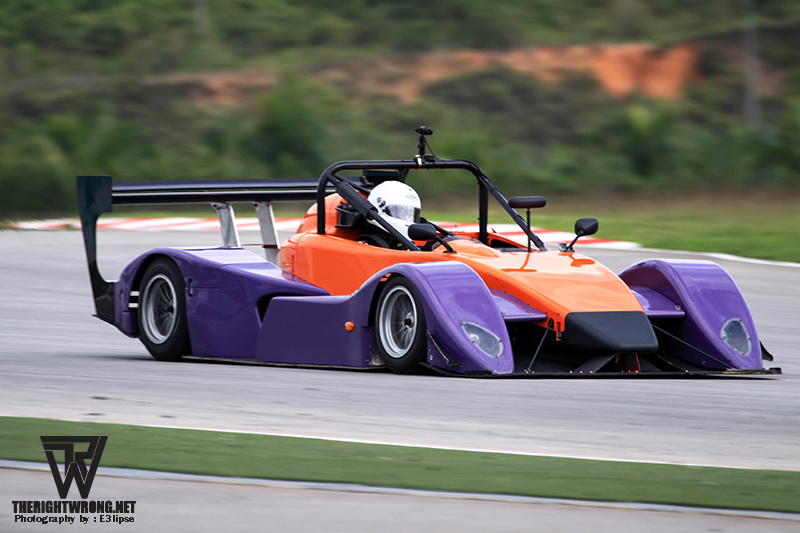 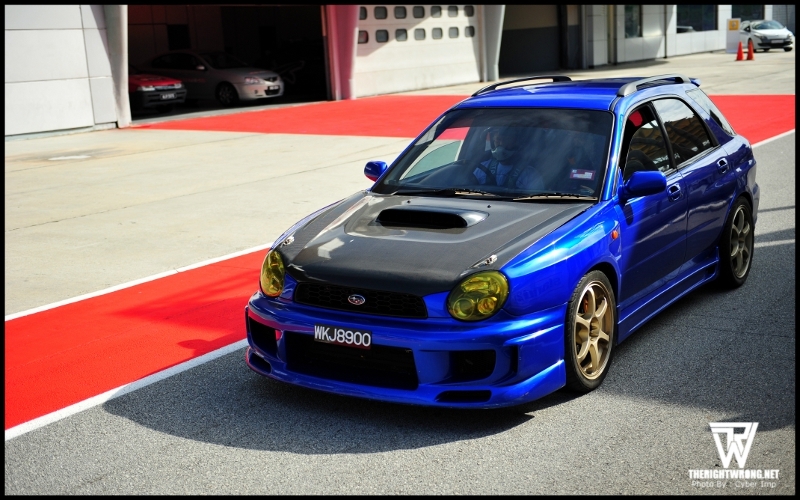 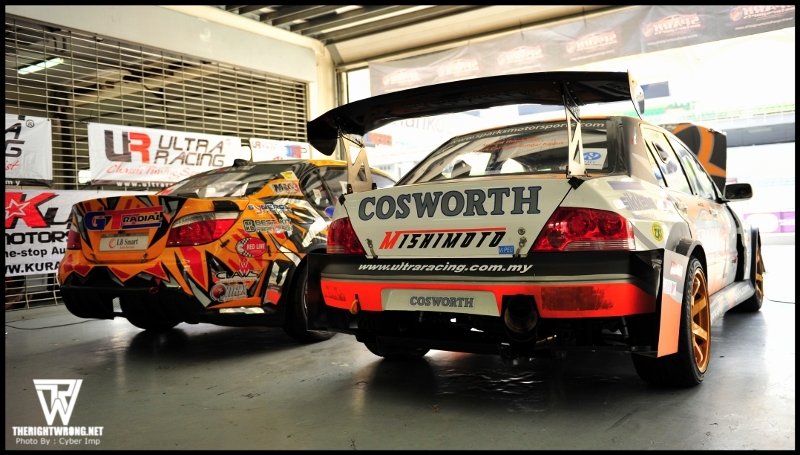 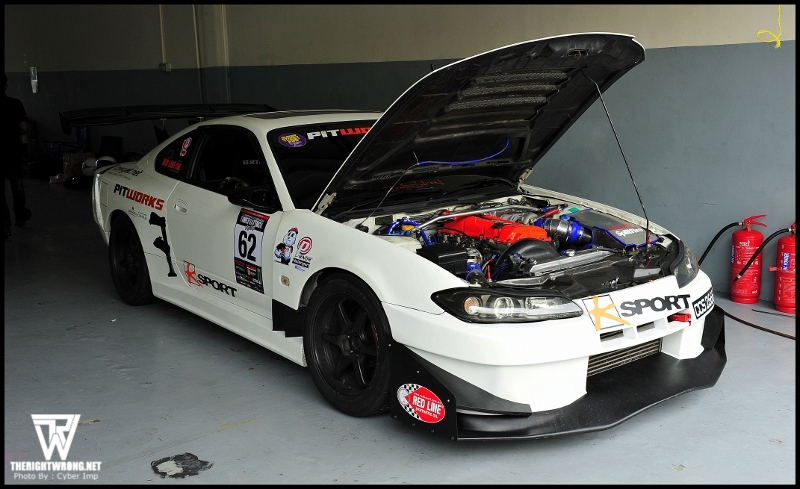 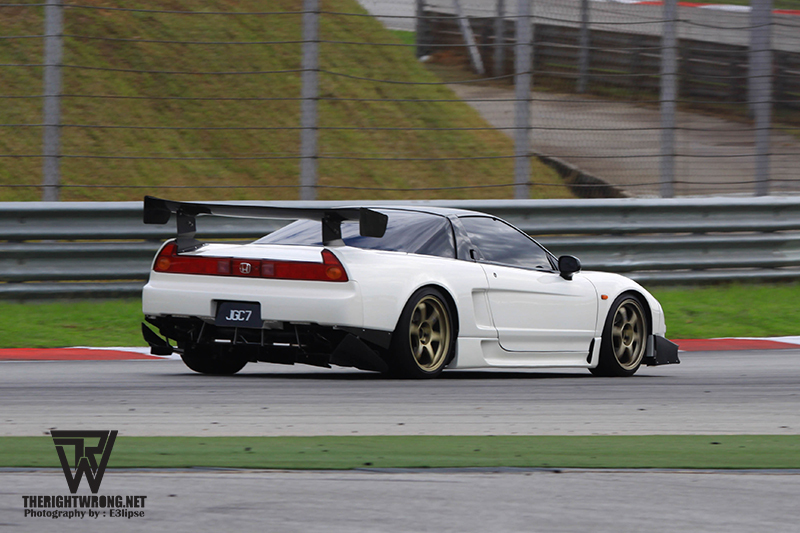 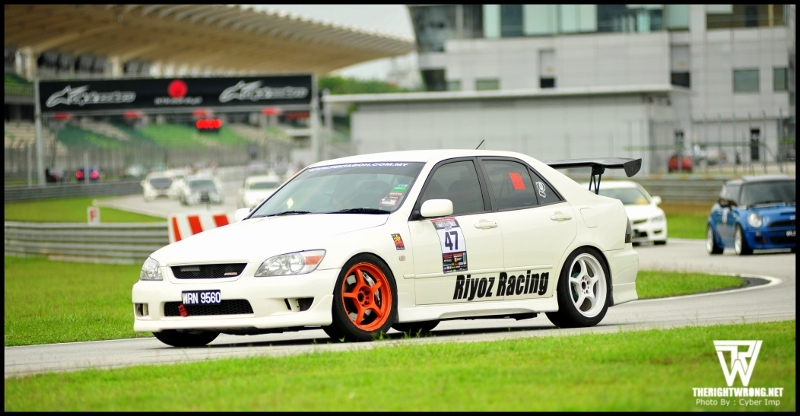 Singapore’s very own ST Powered / ST Wangan, Garage R, LHB Exhaust and Spark Motorsports had their time attack cars at Sepang, competing alongside their Malaysian rivals from Malaysia such as Kazama. 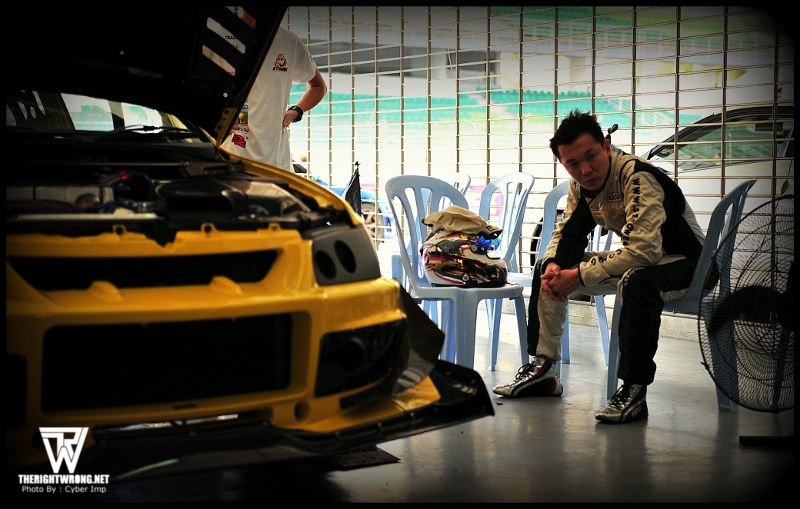 The Man and car that set fastest lap of the year. 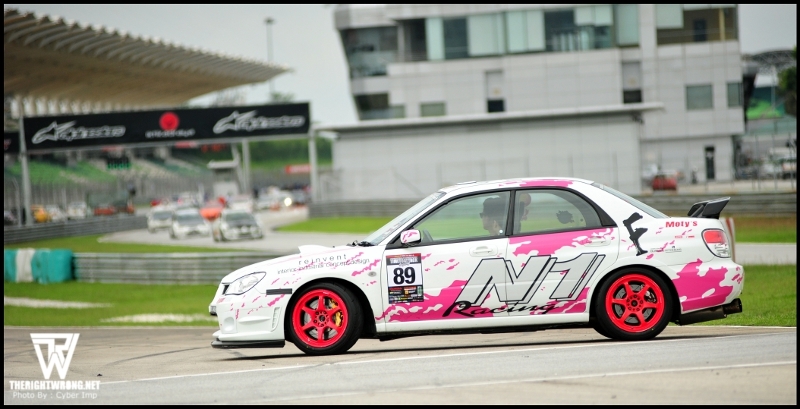 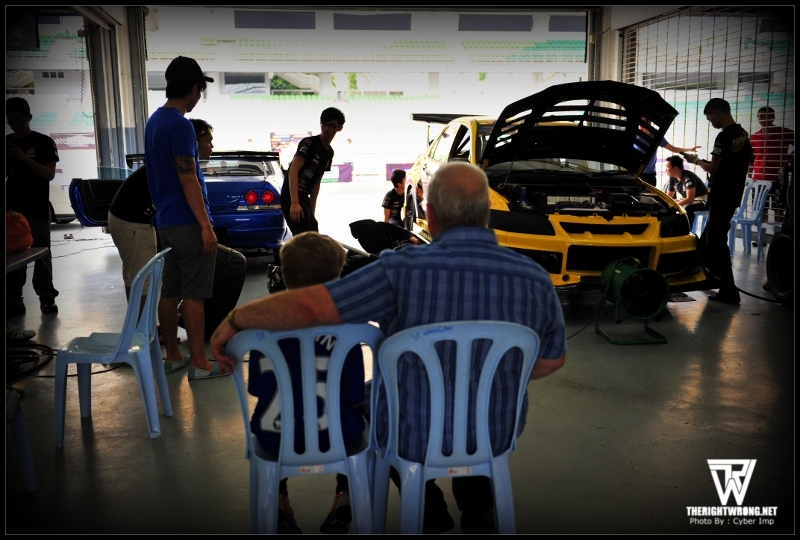 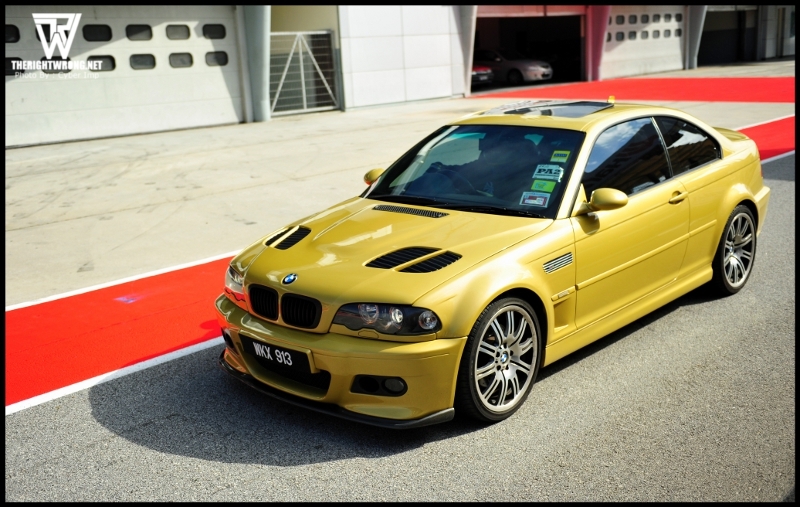 Celebrity drivers known within the region were present including the drift prince Tengku Tjan Ley in his BMW E36 M3 and a female drifter Leona Chin who was racing that day in her Nissan S13 Silvia. 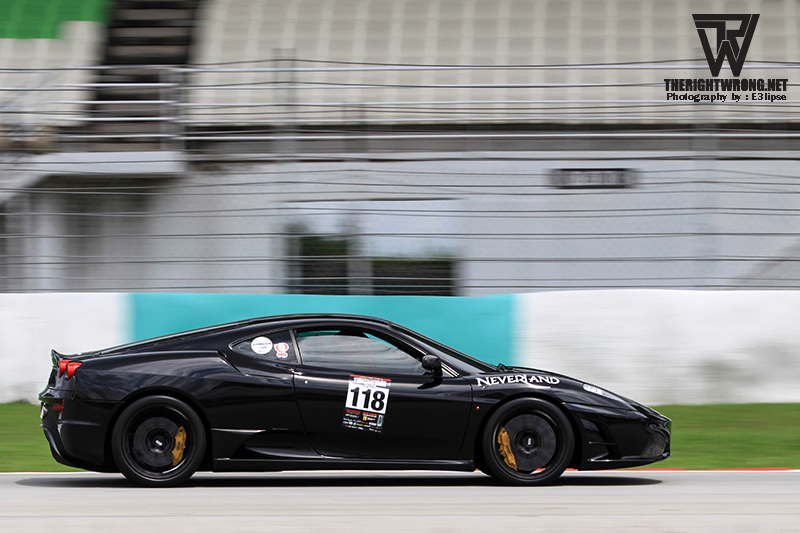 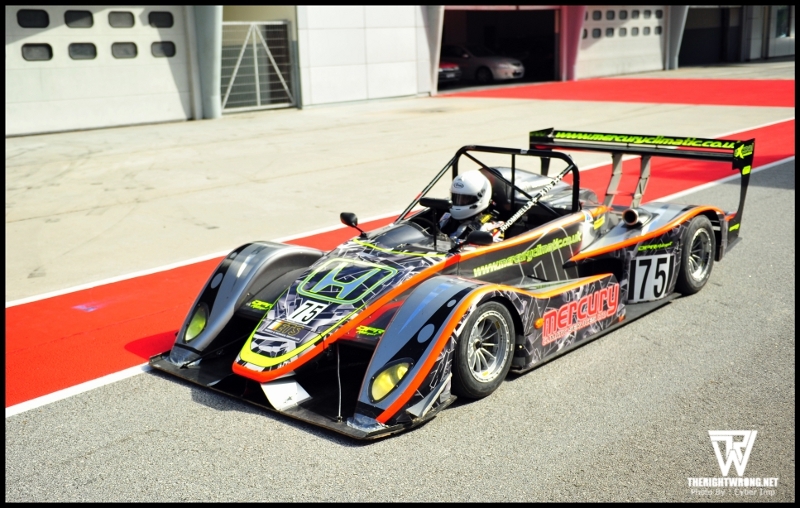 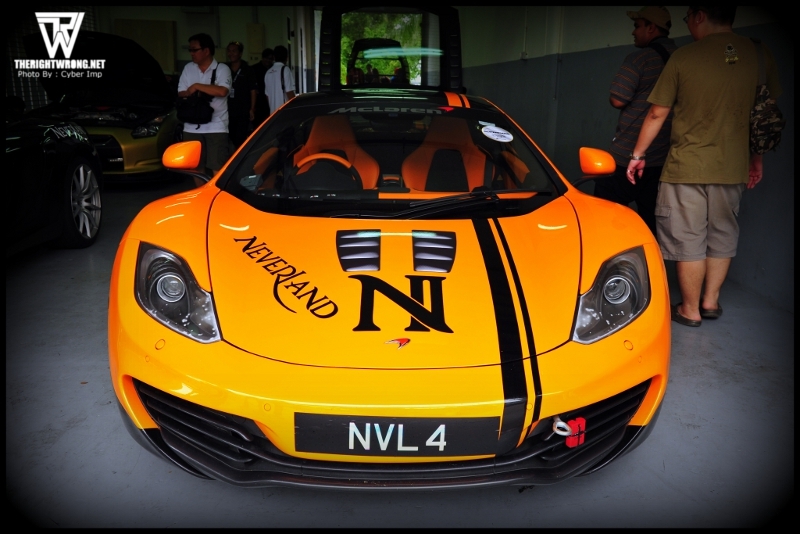 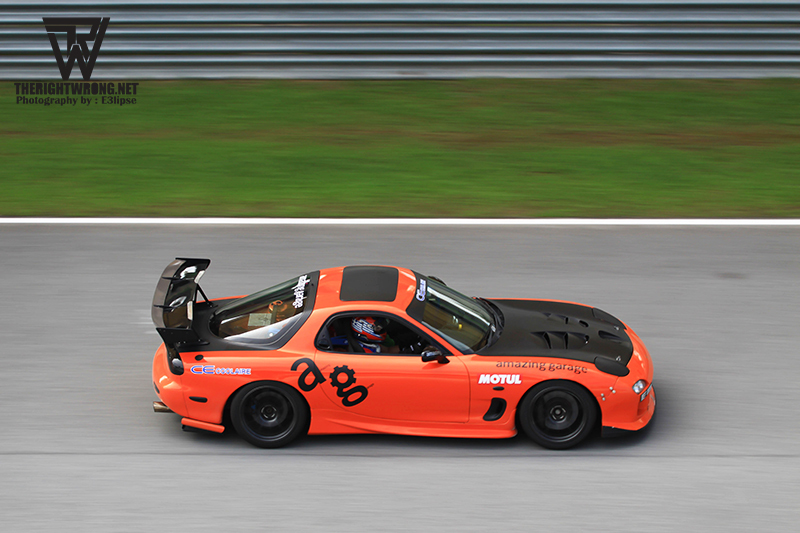 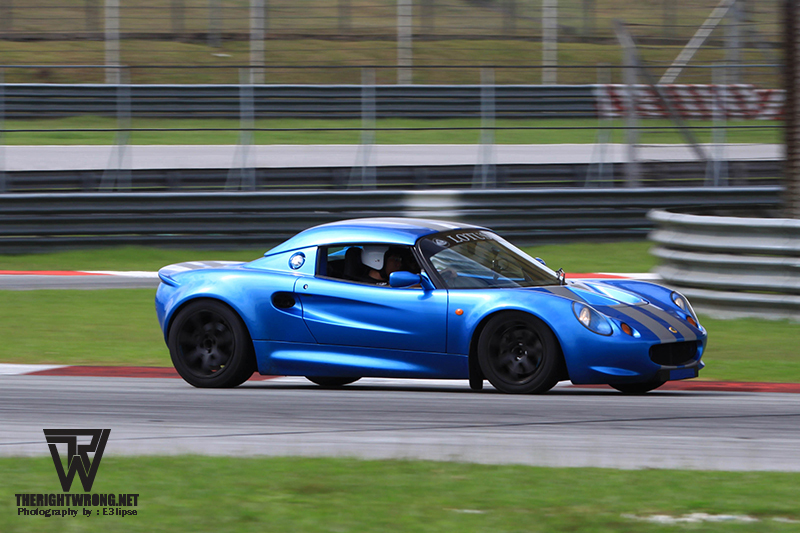 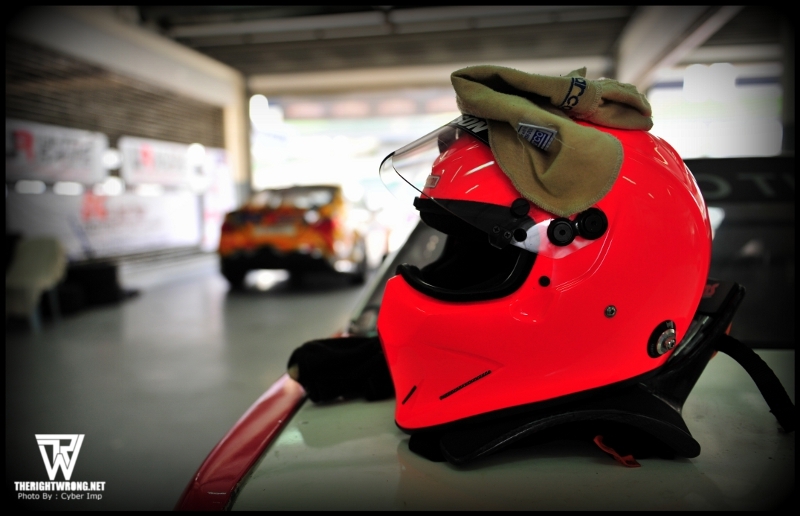 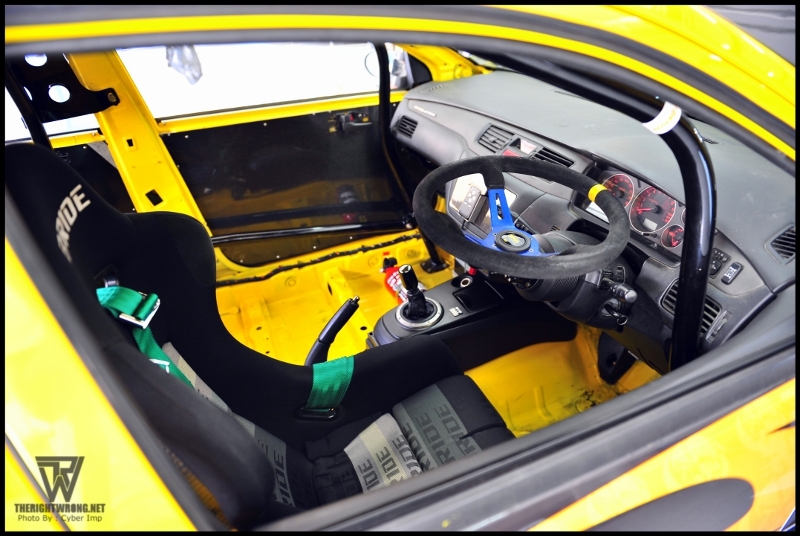 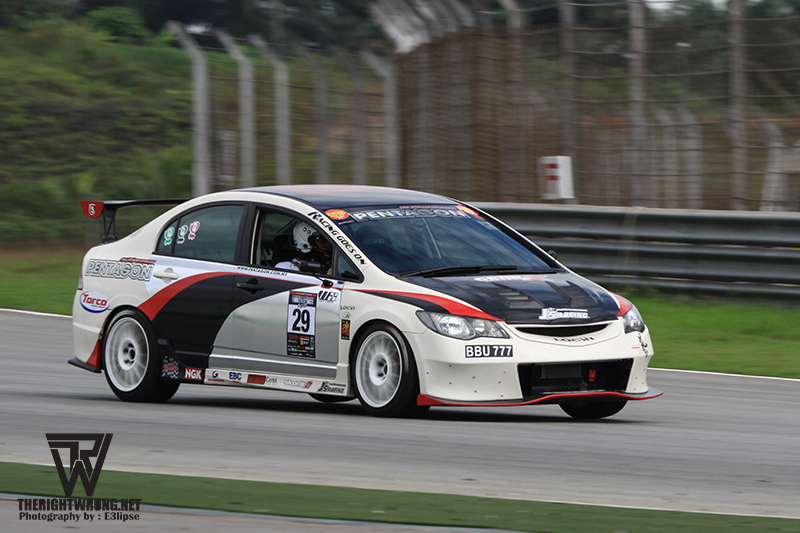 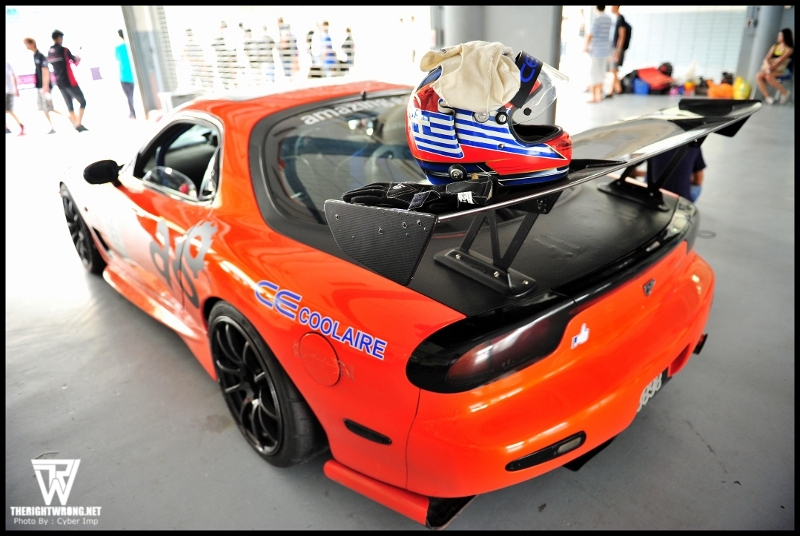 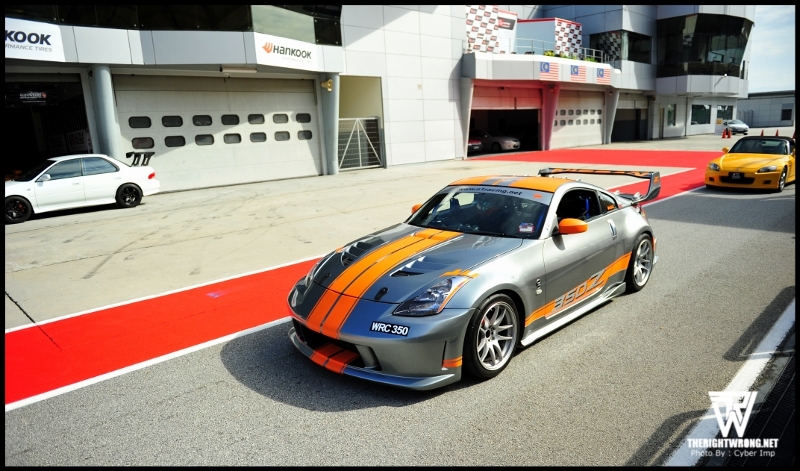 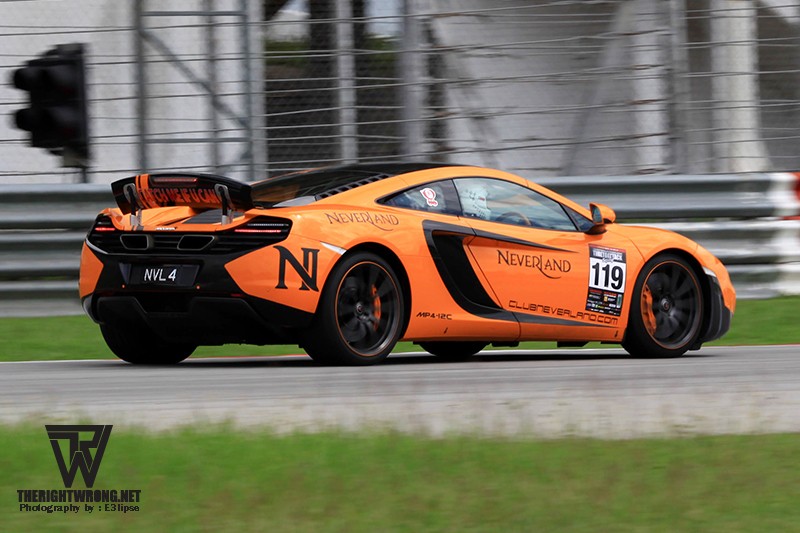 Singapore’s own professional race car driver Denis Lian was also at Sepang piloting two cars, McLaren MP4-12C and a Renault Megane RS 250 Cup. 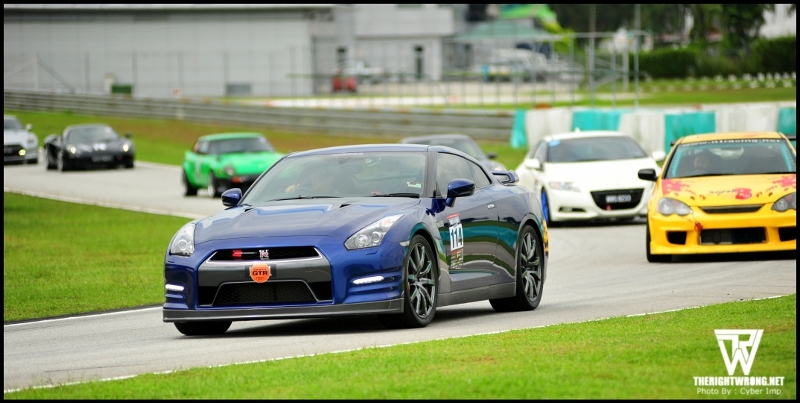 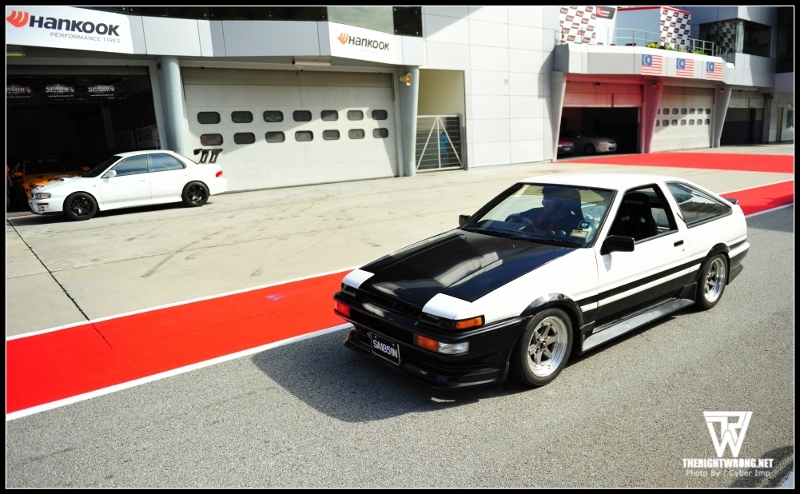 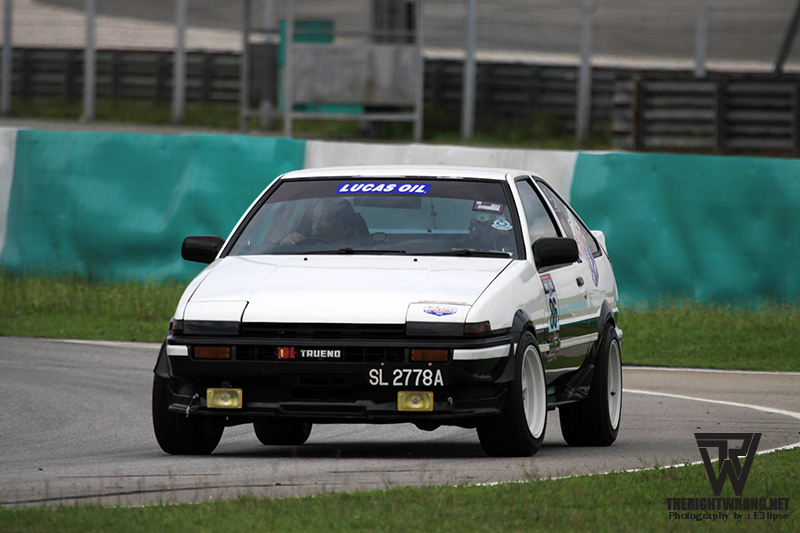 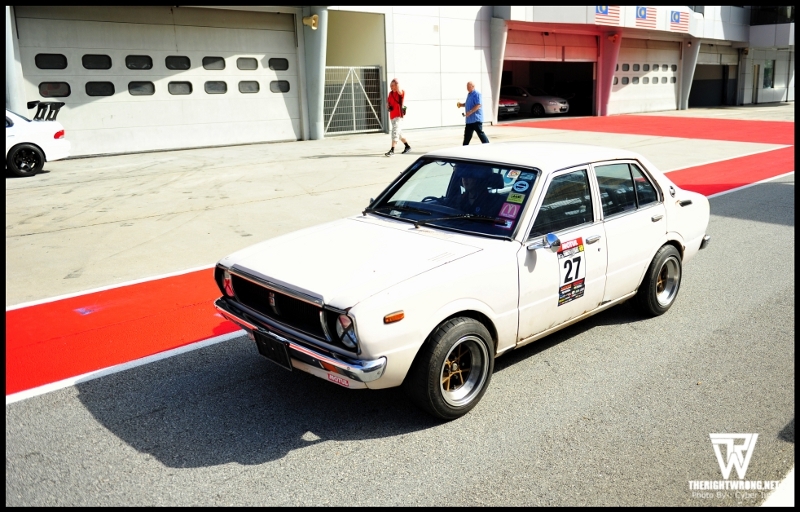 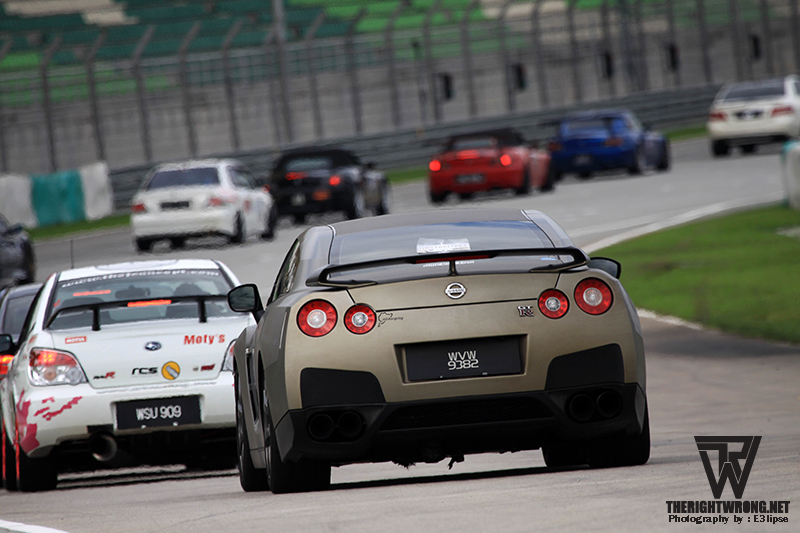 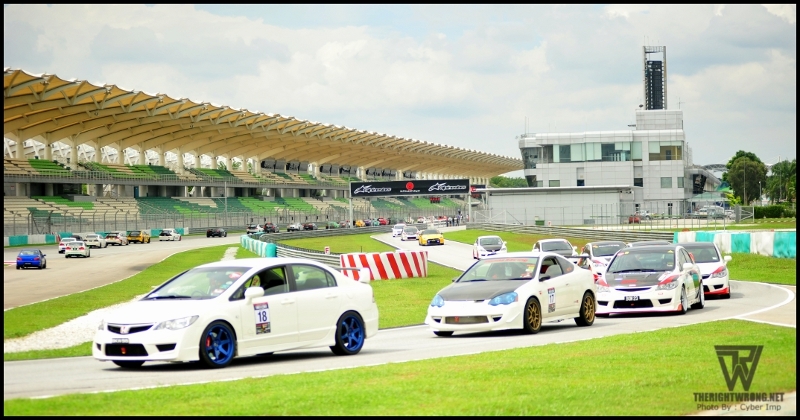 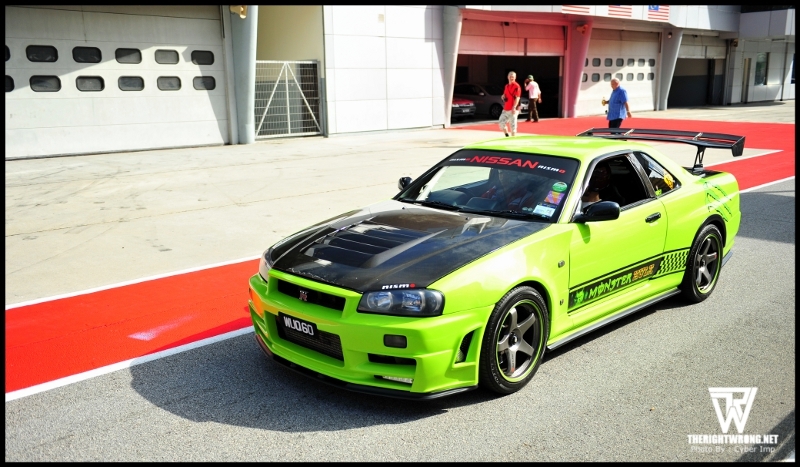 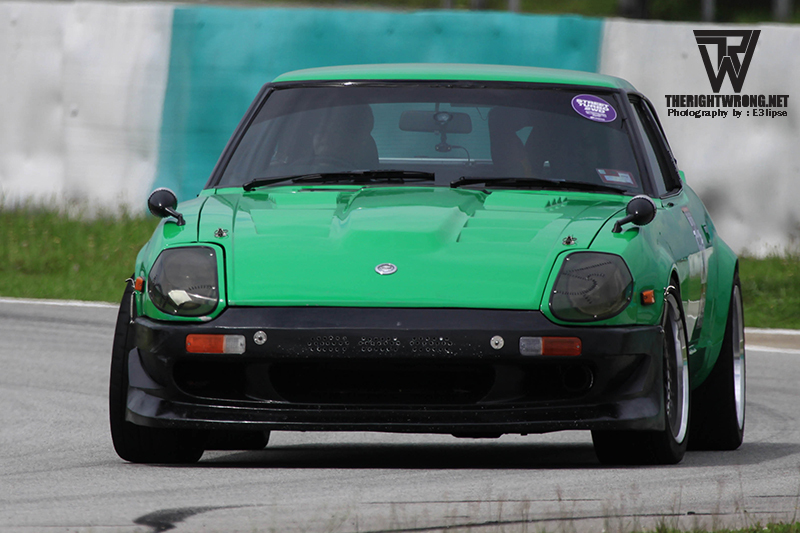 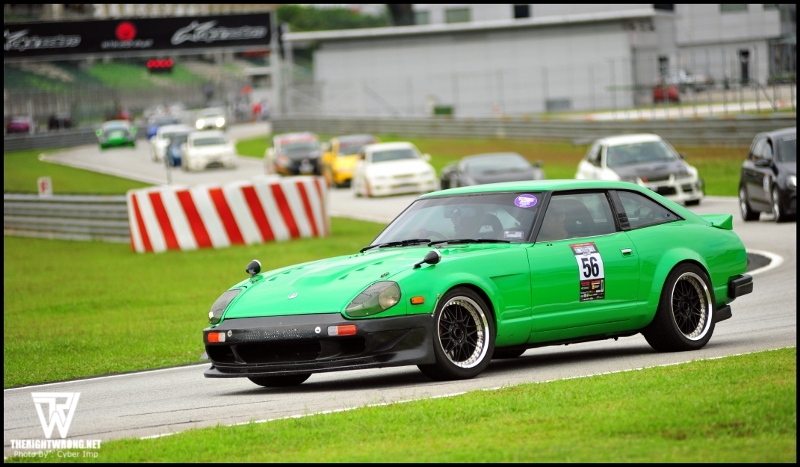 Apart from the usual cars that regularly stretch their horses on Sepang, a few rare steeds showed up to track including a Datsun 280ZX, Honda NSX and a Toyota AE86. 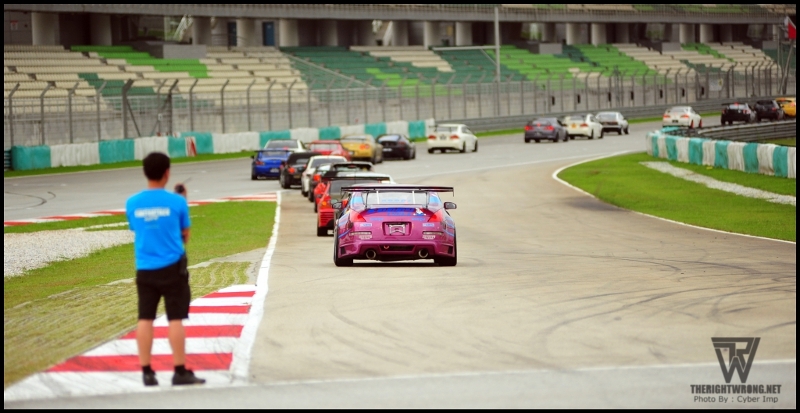 I wouldn’t consider it rare but a new Toyota GT86 was on the track as well, I would give it a couple more months before it becomes a little more common (in Malaysia), since it costs about S$200,000 to buy one in Singapore. 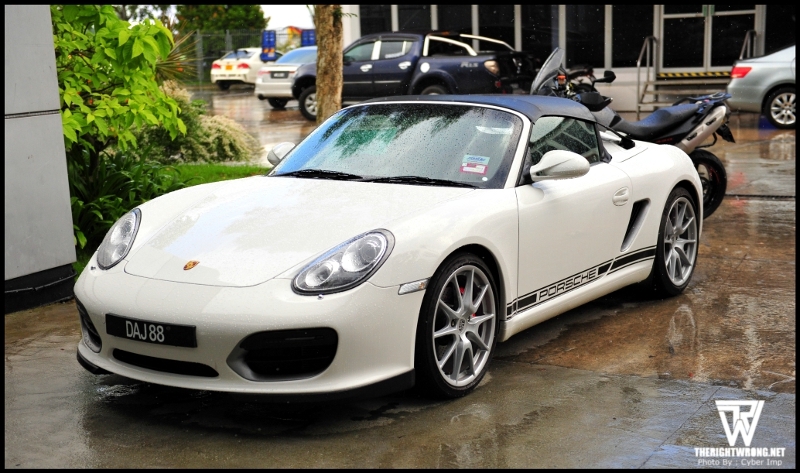 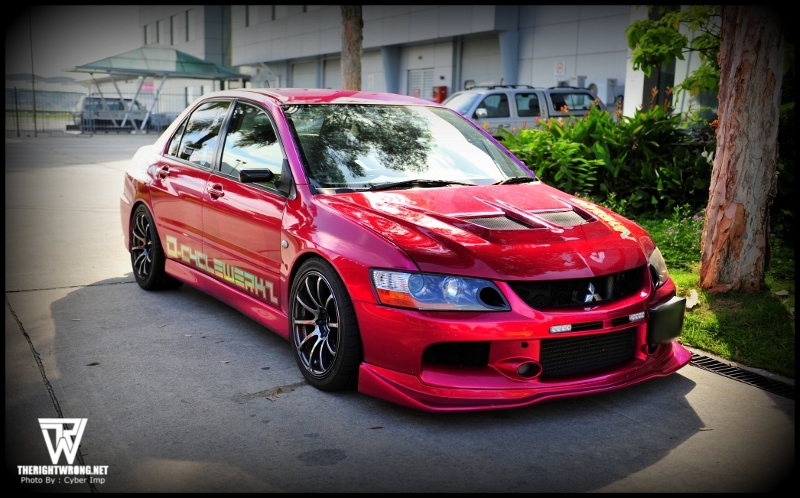 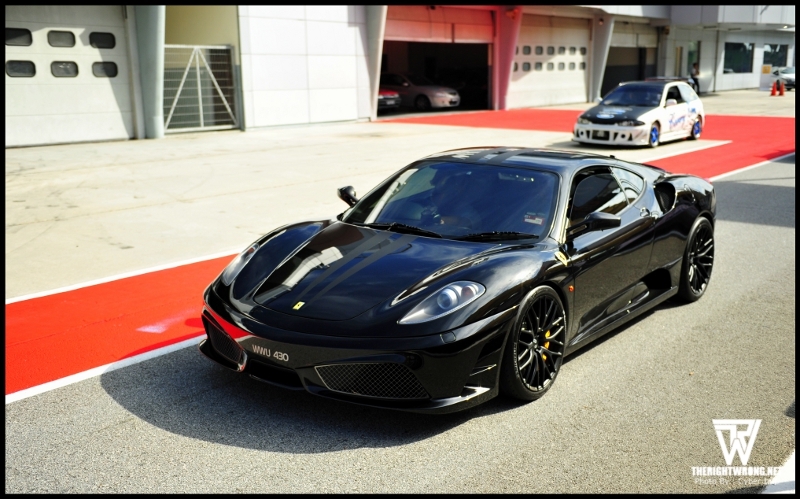 Just for your information, it is only roughly A$40,000 to grab one in Australia. 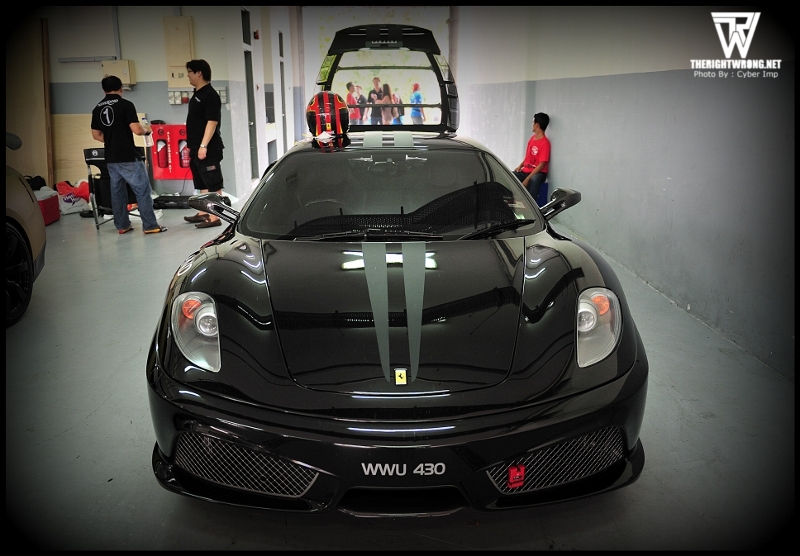 Bless you Certificate of Entitlement and taxes. 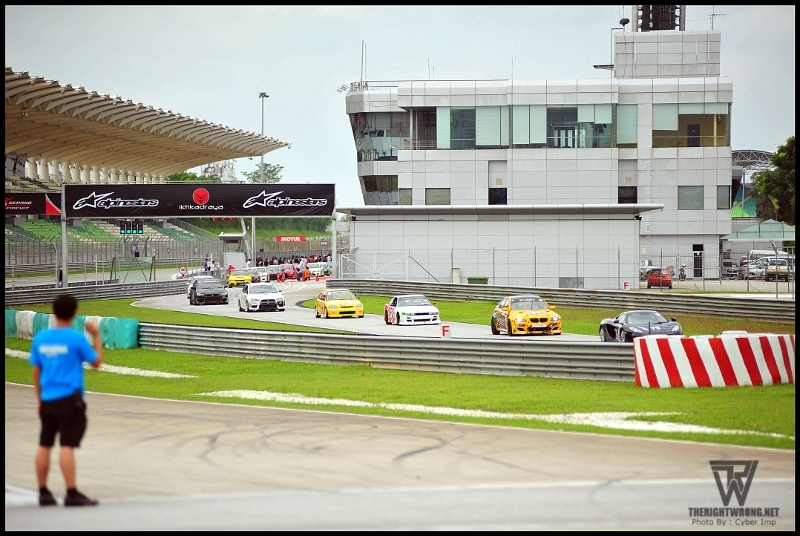 We didn’t stay through the entire day to suffer the full effects of the unforgiving sun and the mid-afternoon downpour, we left before the day ended to make our way back to Singapore. 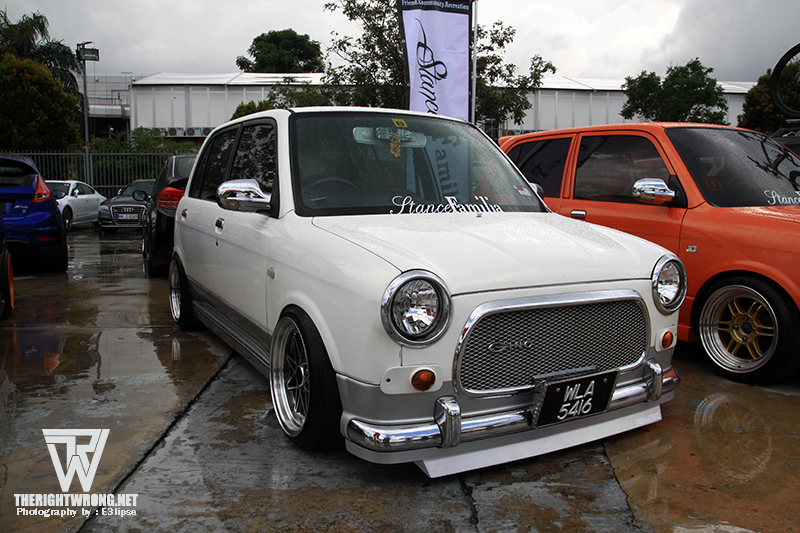 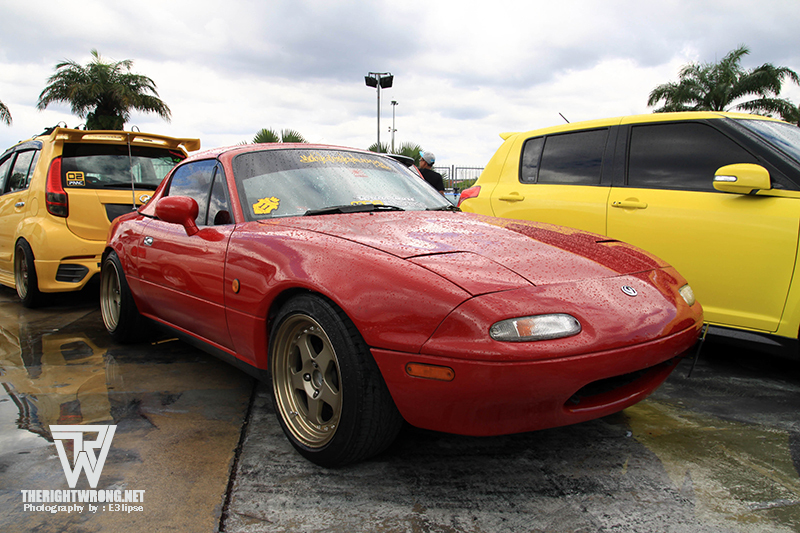 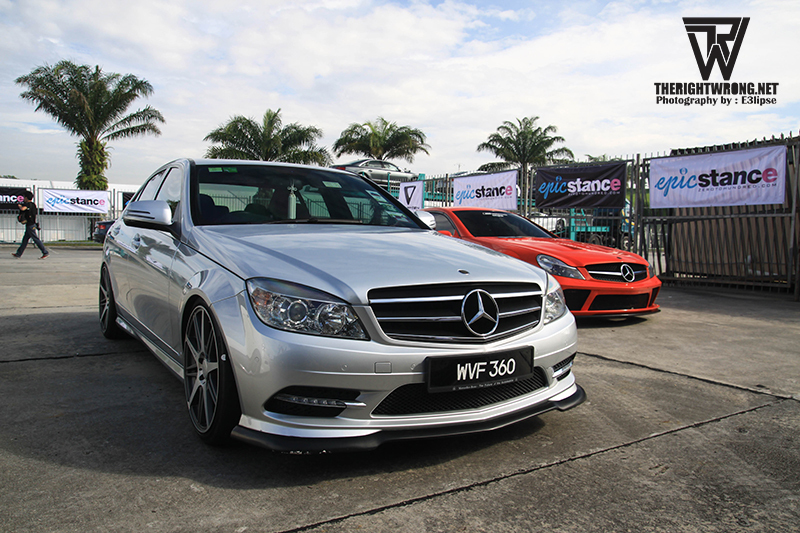 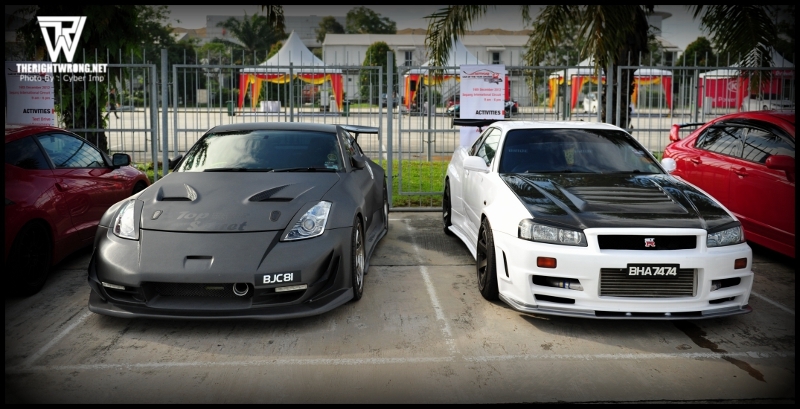 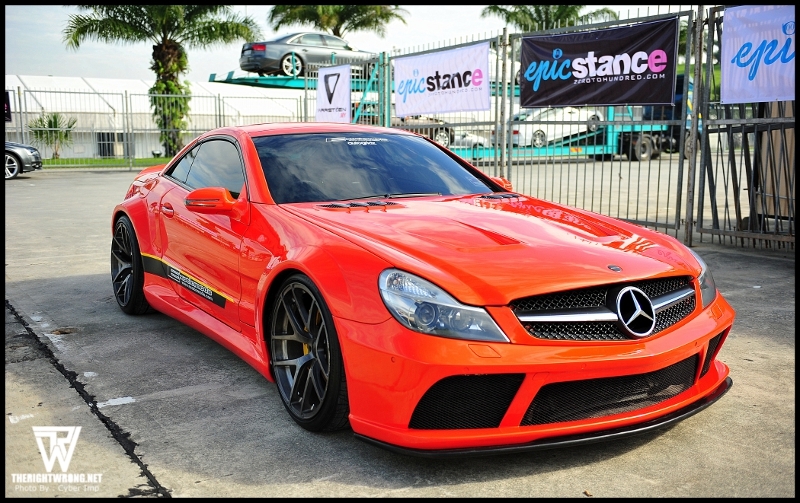 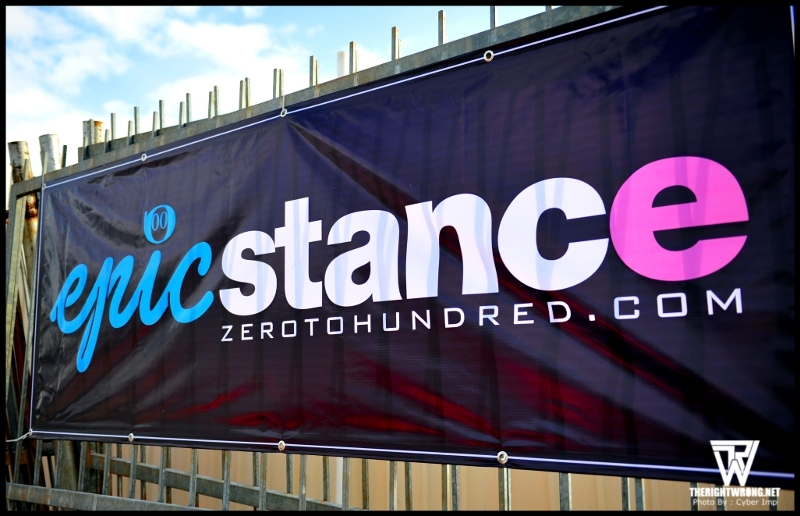 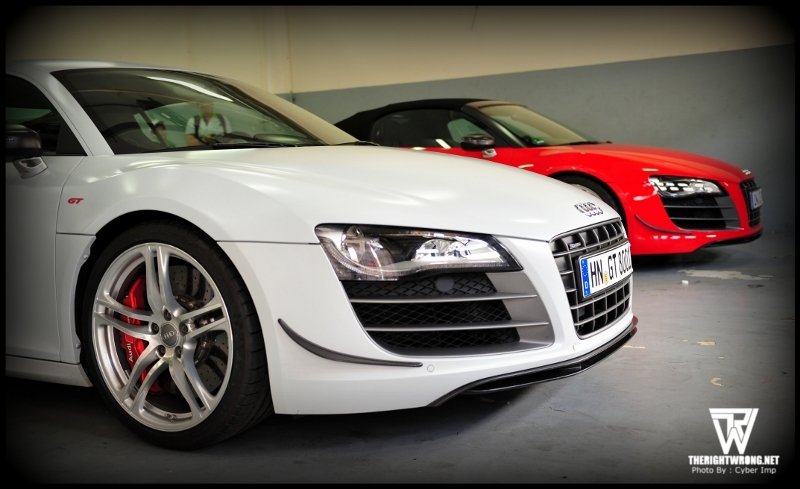 The inaugural EpicStance meet took place as well with an entire parking area dedicated to hardparked stanced cars. 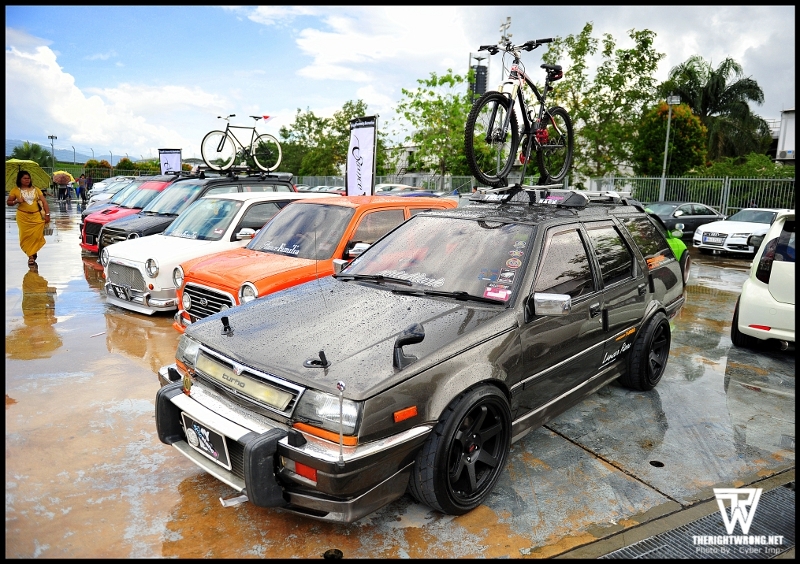 There were a few odd ones who nearly looked normal but I was particularly mesmerised with the blue BMW touring , the Ford Fiesta, a Singapore registered VW Scirocco. 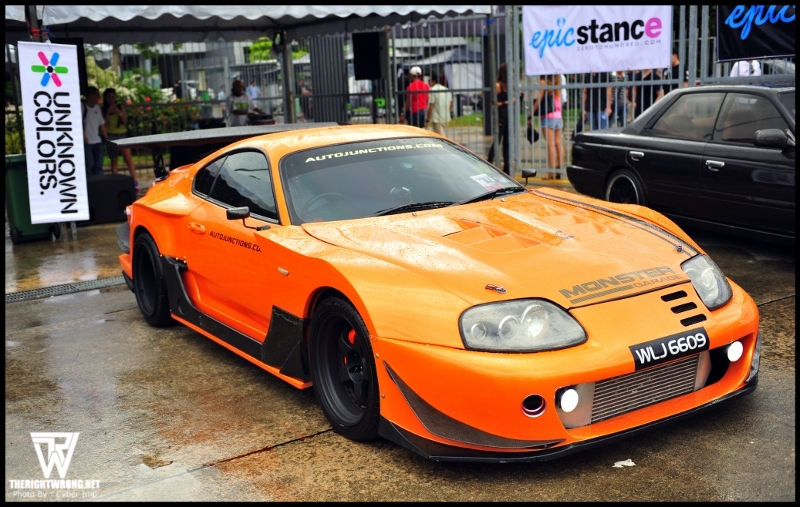 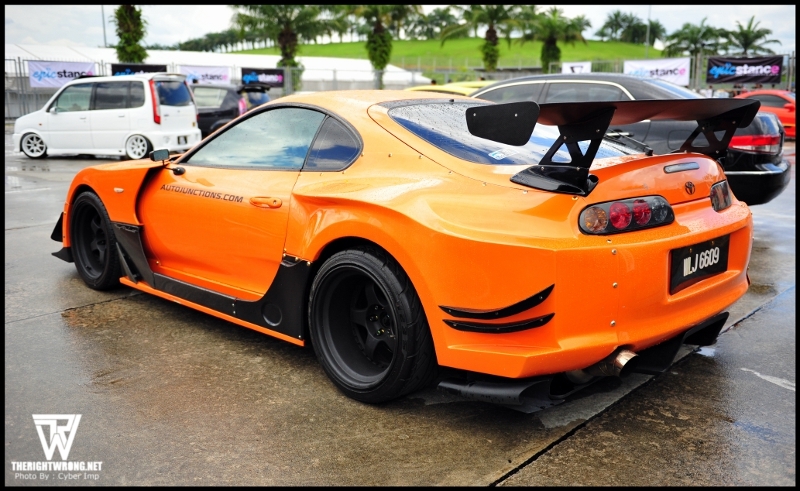 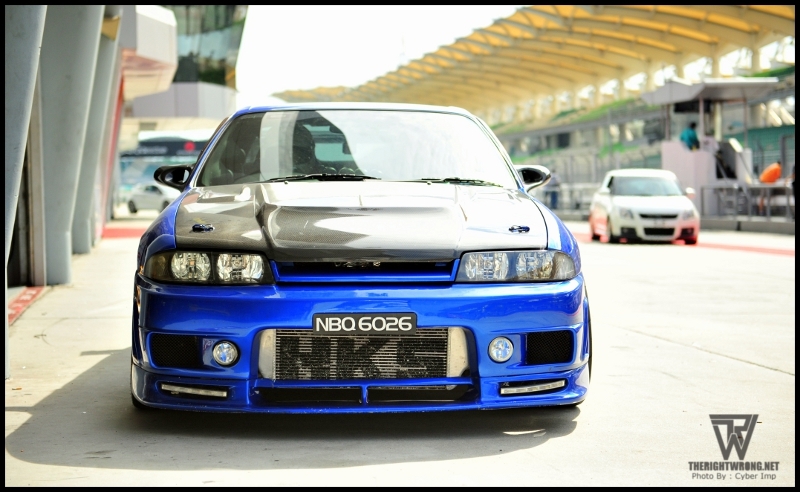 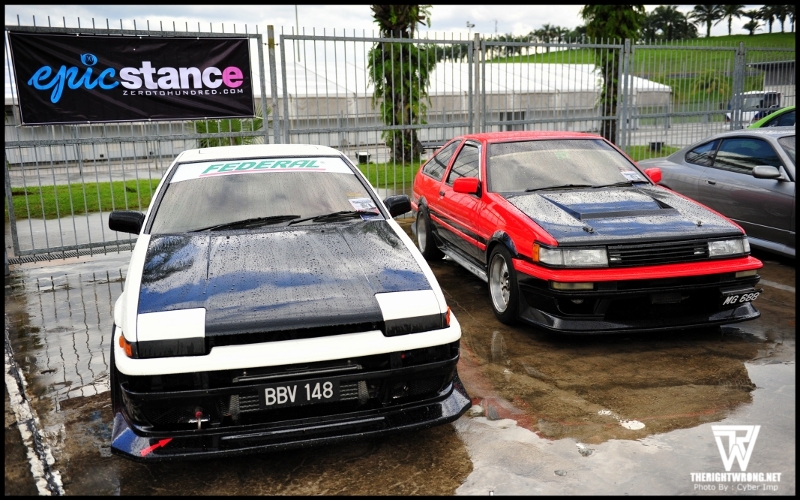 Much respect to the Singaporean Scirocco for representing Singapore with a fine example of stance. 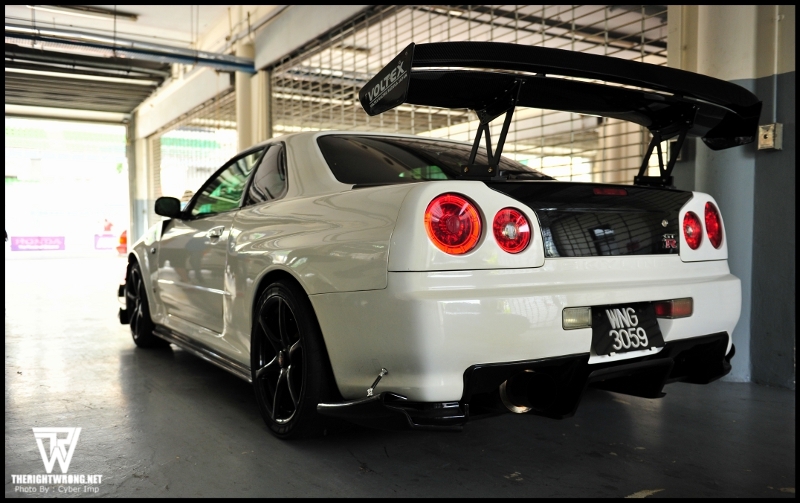 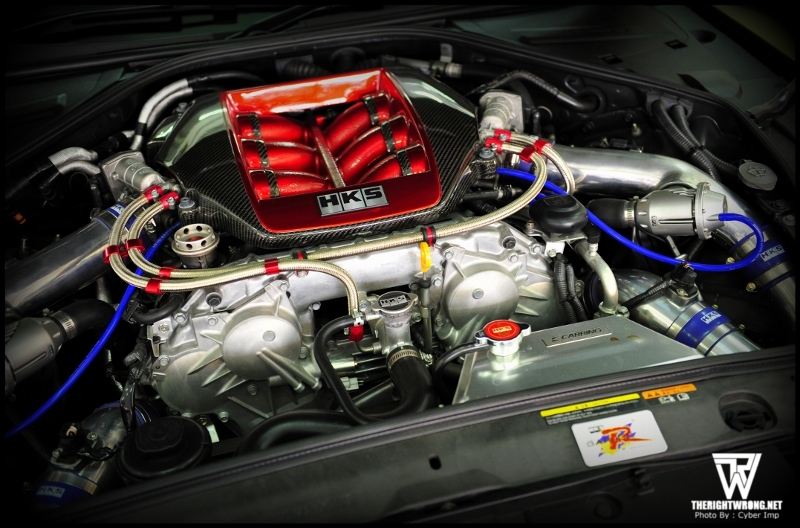 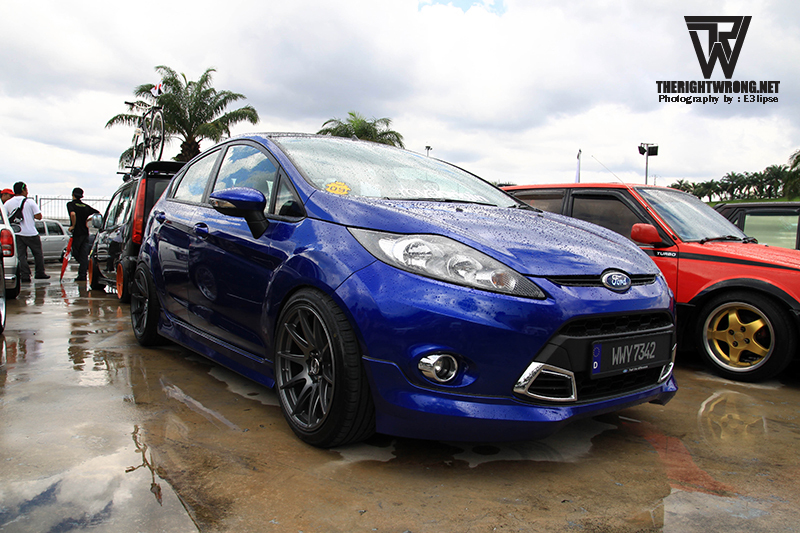 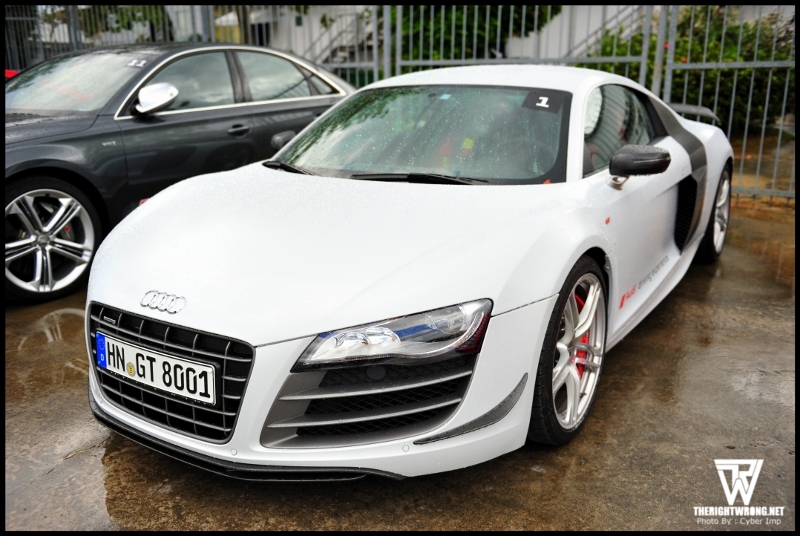 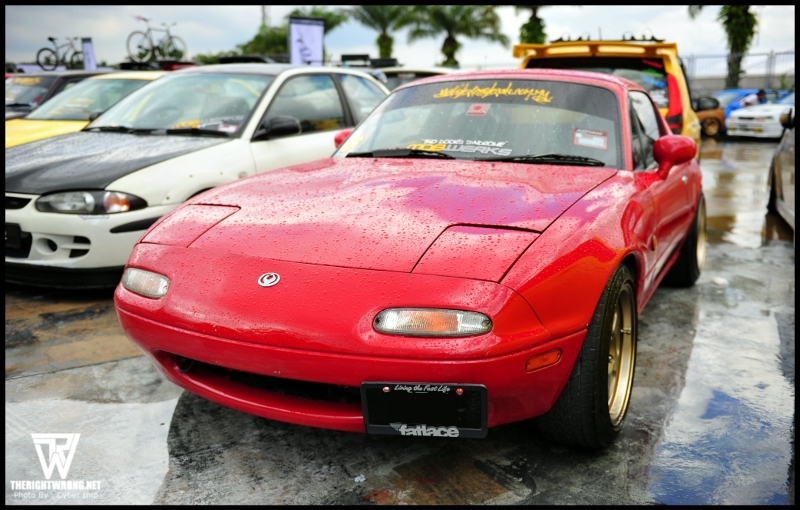 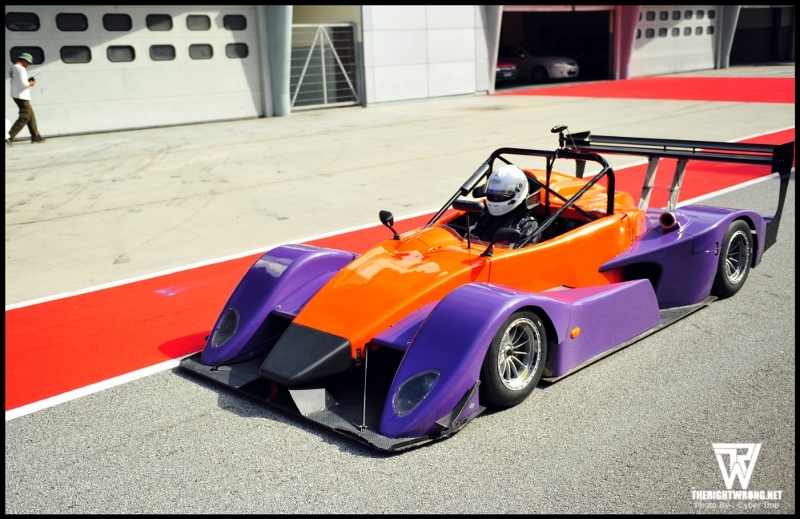 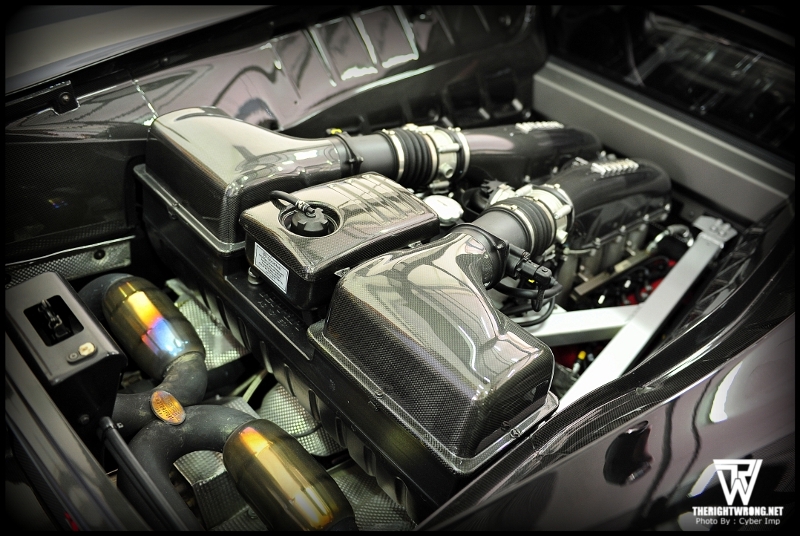 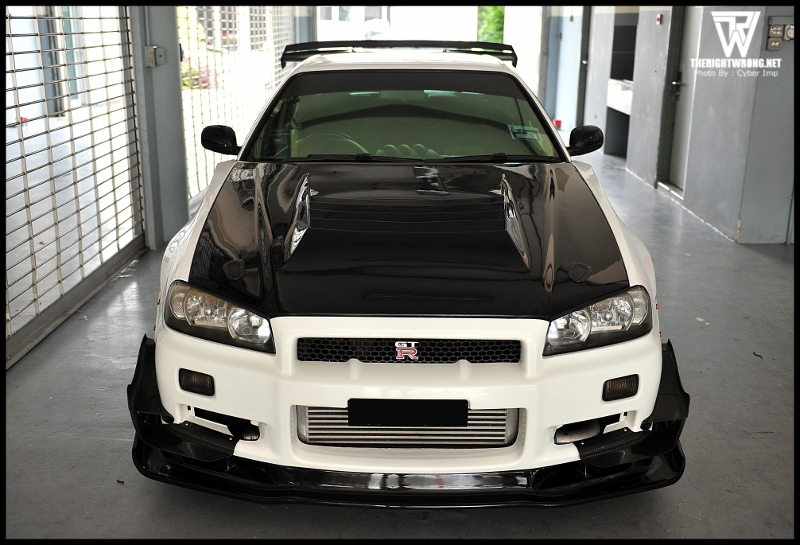 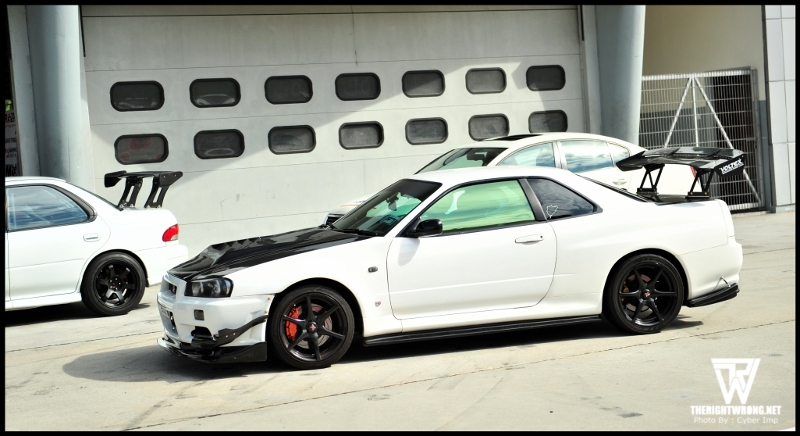 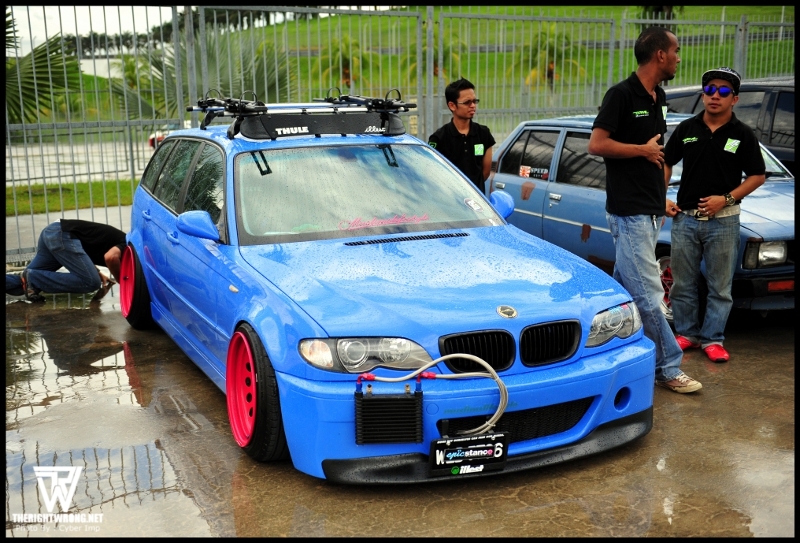 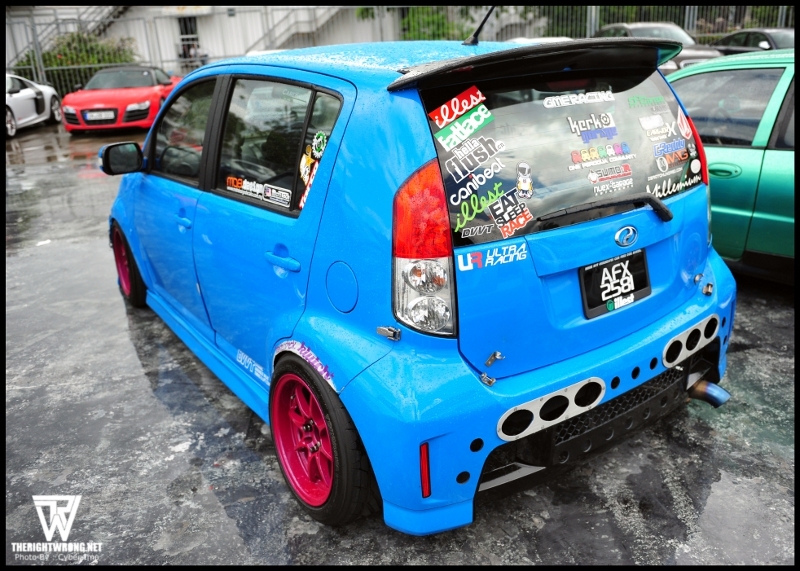 Given that cars in Singapore now are ridiculously expensive and that the authorities are forcibly clamping down on cars with performance modifications, stance gradually increasing in popularity in Singapore. 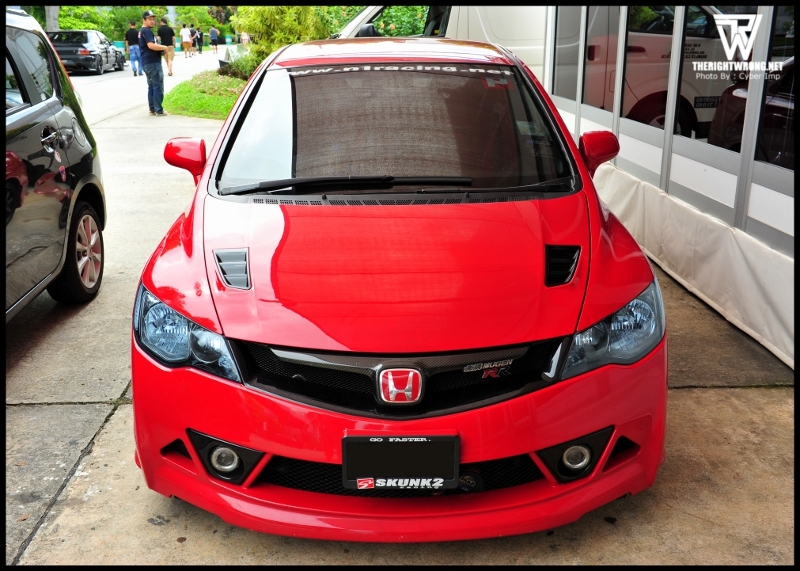 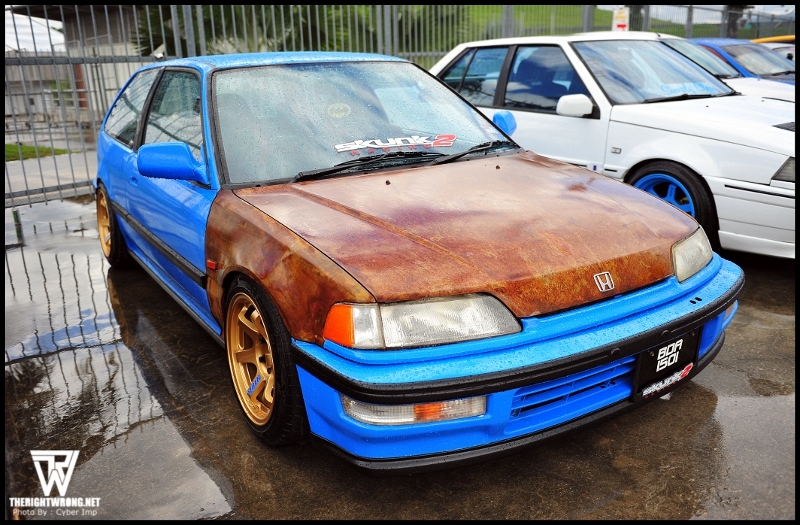 In fact, I am also currently considering following this stance movement by giving my Honda Jazz a new coat of paint and a set of mesh rims!